Growing up I lived next to an army base so I guess you could say I've definitely been around camouflage most my life however that doesn't mean I've been a lover of wearing it. In fact I have no memory of ever owning something with the print, that is until now. I was shopping around with my sister and decided to pop into a vintage store that I had been eyeing for over a year but for some reason have never stepped foot in. Let me just say that if you are reading this and you live in Toronto please do go to 69 Vintage on Queen Street West. I loved it! It's certainly not my everyday shopping place but I enjoyed my experience and look forward to visiting every now and then. I always thought of vintage stores being kind of smelly and just cluttered with mostly junk. That was not the case for this store. It smelled lovely and it was so well organized and categorized - exactly how I love my shopping experience to be! 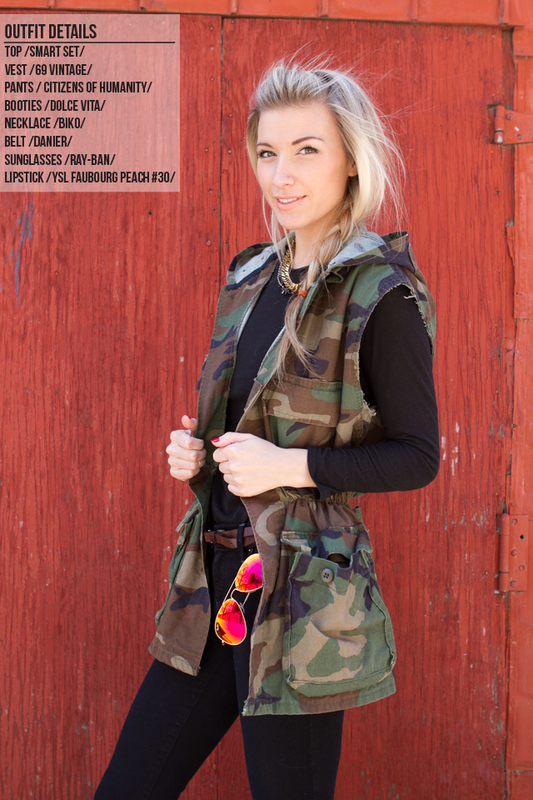 Anyway, it was here that I found this camo vest that I'm totally obsessed with. I've been thinking of adding the print to my wardrobe but knew it had to be the perfect piece for me to be sold. So where to begin with it's fabulousness! This print automatically implies a relaxed look with a baggy wear which is exactly what this was but the deal breaker was the elastic inside that created this perfectly cinched waist line that makes the vest look peplum! LOVE! Fantastic outfit. I just love those sunglasses! They look incredible on you. 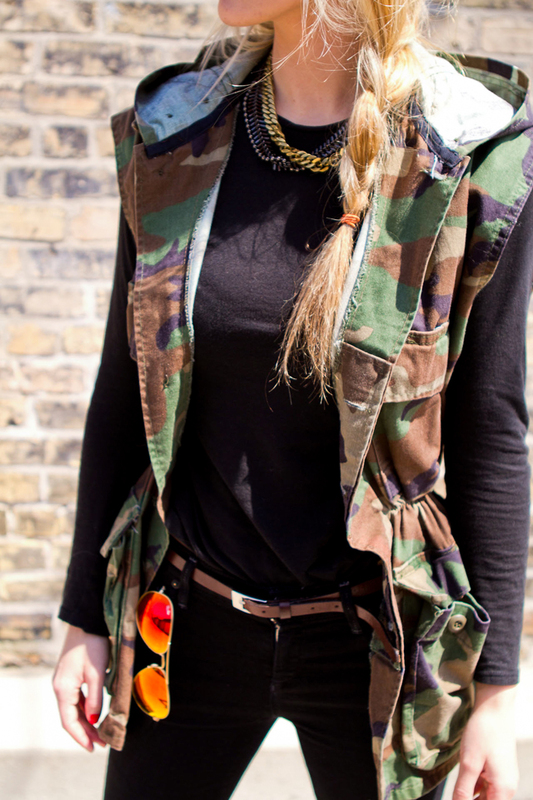 Such an amazing vest, love this military trend! Btw, thanks so much for the nice comment on my blog. I already follow you on GFC, hope you too! I'm hosting a Firmoo sunglasses giveaway, come and participate! 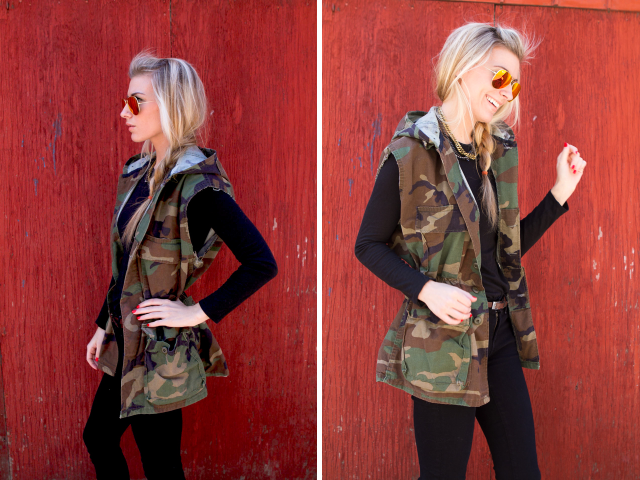 I love how you styled this vest with the all black fitted underneath and skinny jeans, and the ankle boots are just perfect with this! Have a nice weekend! Me encantan los lentes son hermosos!! Guapa ya te sigo, sigueme! si? 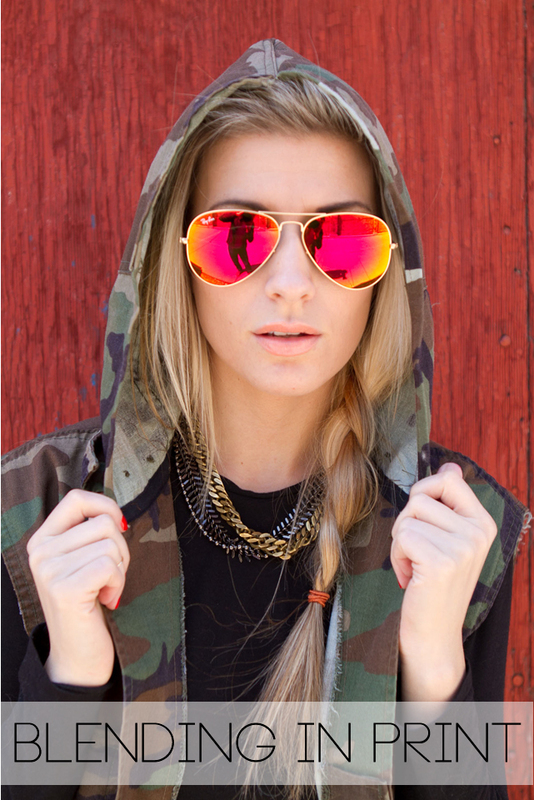 Your aviators are so awesome and I love this camo jacket. Great look - the all black looks fantastic! I just randomly clicked through to your blog from another blog and I am so glad I did! 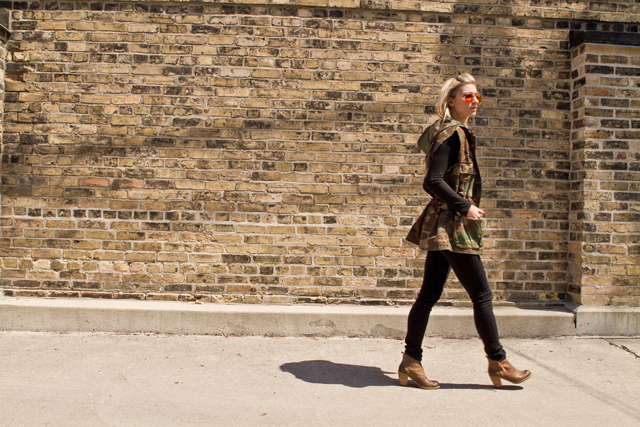 It's always so exciting to find a fellow Canadian blogger - especially one with gorgeous style! I LOVE your sunglasses - I have a similar pair in blue but I am loving the red lenses on you! I'll definitely be following along!